Please note that this list is subject to change at any time. Please contact our office to find out if we accept your insurance plan. 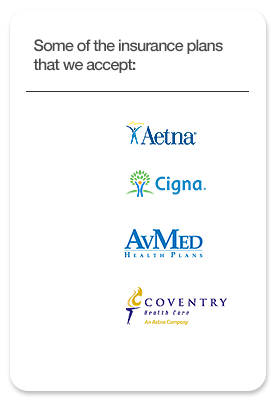 Cigna Healthcare of Florida , inc.
Coventry Health Plan of Florida, inc. Dba Foundation Health, A Florida Health Plan, Inc.
Health First Health Plans, Inc. Dba Health First Health Plans, inc.